If you've ever negotiated a new salary, asked for a raise, or secretly looked for a new and potentially higher paying job, then you know damn well that the subject of how much you get paid can be, well, a delicate dance. But now, employment website Glassdoor is trying to remove some of the scary ambiguity surrounding pay with a new tool that estimates the salary you should be earning based on your current job and experience. Glassdoor launched the free tool, Know Your Worth, on Tuesday, saying it's designed to help you figure out if you're being paid fairly in your current job, if you should try to negotiate a raise, and if you should explore better paying jobs at other companies or better paying careers, according to a press release. 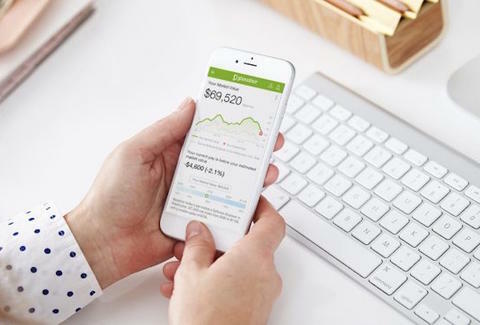 The tool uses information about your work experience and current job to estimate your "market value" (what you should be earning), based on Glassdoor's expansive salary data, trends in today's job market, and other factors. Basically, it's cool and a little creepy at the same time. "Know Your Worth uses sophisticated data science and machine learning algorithms that leverage millions of salary reports shared by employees on Glassdoor, while analyzing real-time supply and demand trends in local job markets, and typical career transitions of people doing similar work," the company said. "Each person’s market value, and pay range, is unique to the individual, private, and will be recalculated weekly and tracked over time." In order to get your estimate, you'll have to provide your current job title, employer, salary, location, and years of relevant work experience. It's worth noting, however, that the tool is far from perfect. For one, the numbers it spits out are merely estimates based on Glassdoor's data and the info you provide. The tool also doesn't factor in other forms of compensation or benefits like bonuses and stock options. All said, the company expects the tool can generate estimates for roughly 55% to 60% of the US workforce, according to the press release. For all the above reasons, the numbers should be viewed with some healthy skepticism, which is why Glassdoor describes the information as just a "starting point" more than anything else. So while you probably shouldn't base your next big career move solely on these estimates, they'll almost certainly be interesting enough to check out. Best of luck. Tony Merevick is Cities News Editor at Thrillist and hasn't popped his info into this thing yet. Send news tips to news@thrillist.com and follow him on Twitter @tonymerevick.